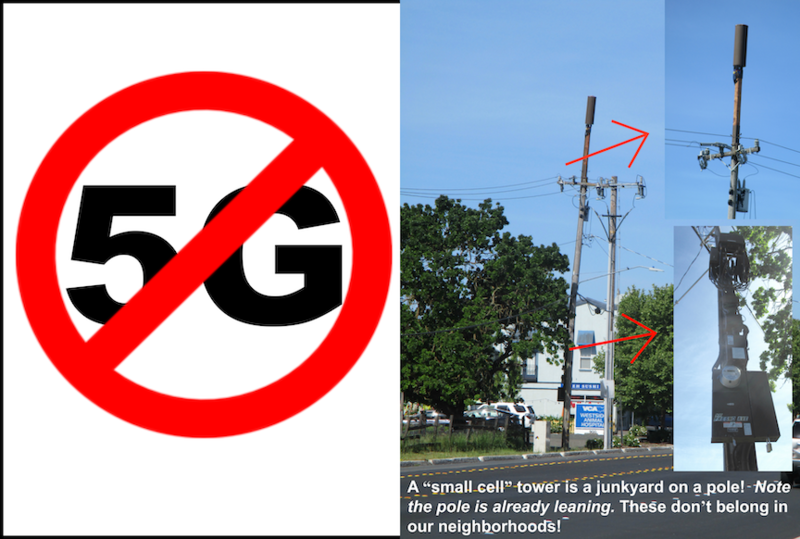 [mashshare] VENICE, Fla. – Leaders of a coalition of Venice community groups against a proposed cell tower say they’re encouraged that the Sarasota County Planning Commission voted unanimously to deny a zoning exception for a 125-foot cell tower. The tower was planned to be built on residential land in the Plantation Golf and Country Club community. The tower would be visible to hundreds of residents in the neighboring Lake of the Woods of Jacaranda development. The vote was taken at a public hearing attended by more than 100 residents of the two communities. 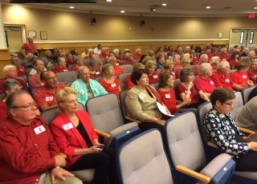 Residents opposed to the tower wore red to show their disapproval. 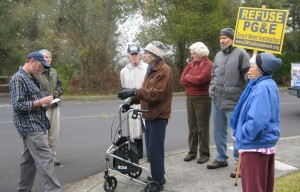 More than 20 residents spoke at the hearing in opposition to the tower. 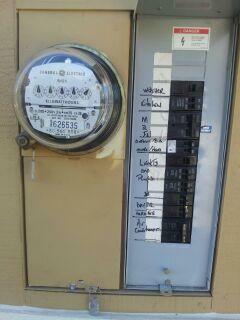 Try to install a Smart Meter in Sebastopol and you could get a $500 fine. The Sebastopol City Council unanimously adopted an ordinance banning Smart Meter installation in Sebastopol yesterday. 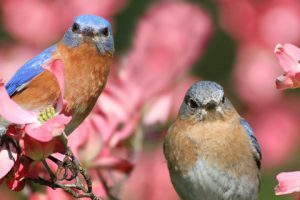 They also adopted a resolution asking the California Public Utilities Commission (CPUC) to allow communities to opt-out of Smart Meters at no additional cost. Sebastopol became the 15th local jurisdiction to make Smart Meter installations illegal, along with Fairfax, Ojai, Santa Cruz, and Marin, Lake, Mendocino and Santa Cruz counties and others. Previously Sebastopol had asked PG&E for a moratorium on installations until the CPUC proceeding was complete. PG&E wasn’t complying. Meanwhile their contractors, Wellington were sending installers into Sebastopol, with many apartment buildings and some areas already installed. 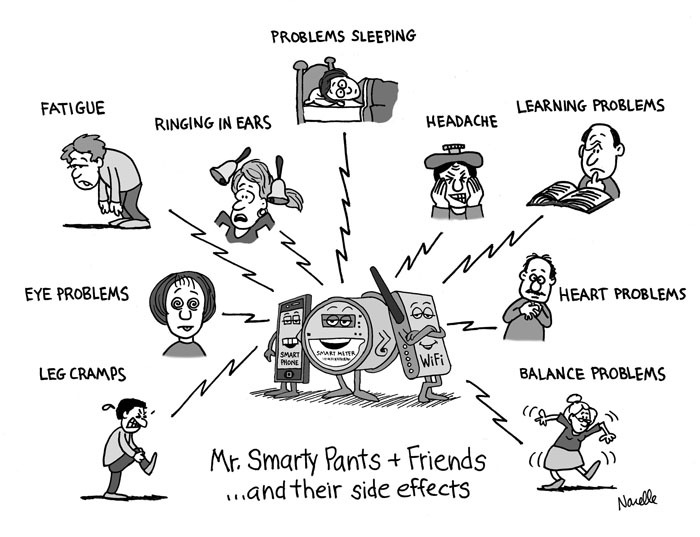 Yesterday it was reported that Wellington was installing Smart Meters in town and the police were called to the scene. Once the police arrived and talked to them, the installer left. 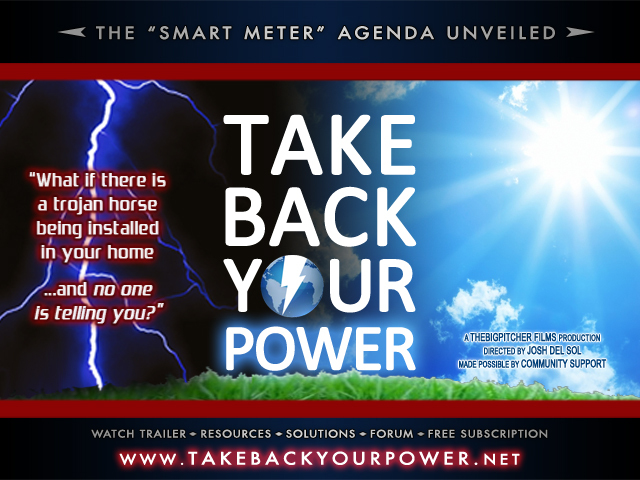 In stark contrast the city of Naperville Illinois has forced Smart Meter installation using the support of armed police. Two mothers were arrested. THANK YOU to the Sebastopol City Council for their strong stand, and to the City Staff for their support. 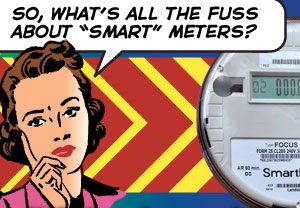 Thank you also to the City of Fairfax, who has led the way in protecting their city from Smart Meter installations. Wellington, a company contracted by PG&E, is installing Smart Meters in Sebastopol despite the fact that Sebastopol has asked for a moratorium twice; that Sebastopol council supports a Smart Meter community wide opt out; and that the CPUC has a proceeding pending to investigate the possibility of community opt-out. 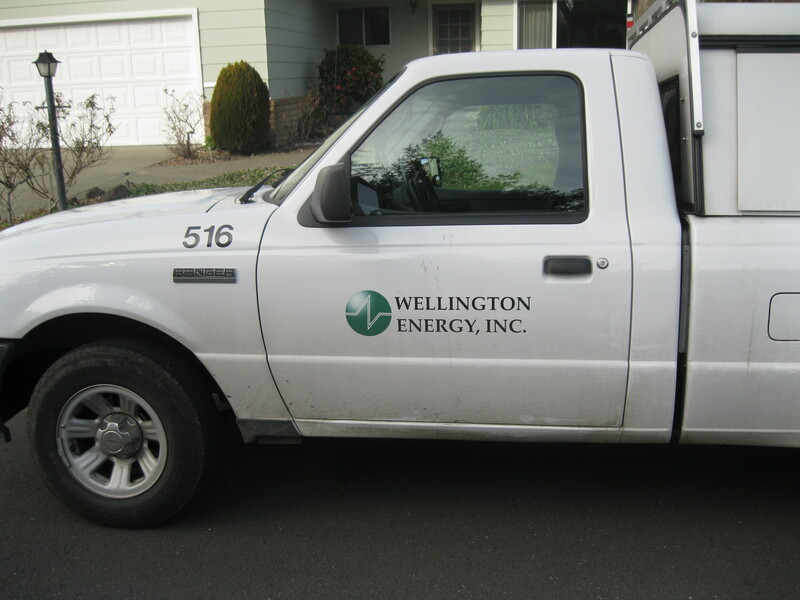 Two more Wellington trucks installing gas smart meters were on Murphy Street. When I approached the two men they did not respond or answer any of questions. They eventually packed up their stuff and left, putting the analog gas meter back together. Smart Meter installers drive small white Wellington Ford Ranger trucks. 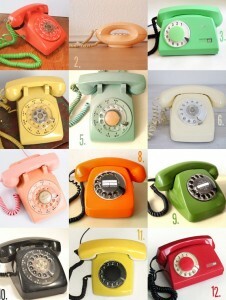 They are installing throughout Sebastopol now. There were at least three trucks in town today. It appears the installers have been instructed to vacate a scene if they are approached. They also seem to leave town if followed, rather than going to the next house to install. 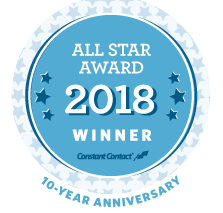 If you see an installer you can ask these questions: Are you a licensed electrical contractor? 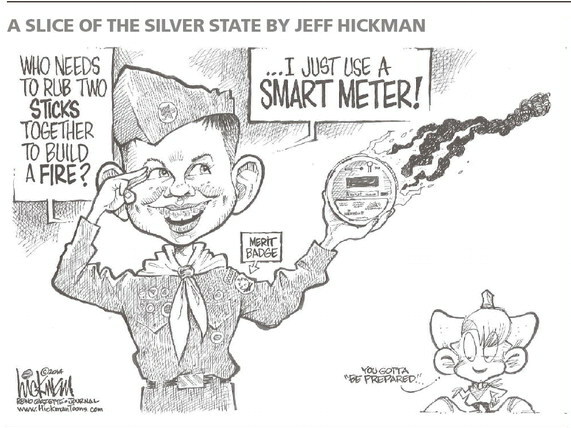 Did you know Sebastopol asked for a moratorium on Smart Meters twice? 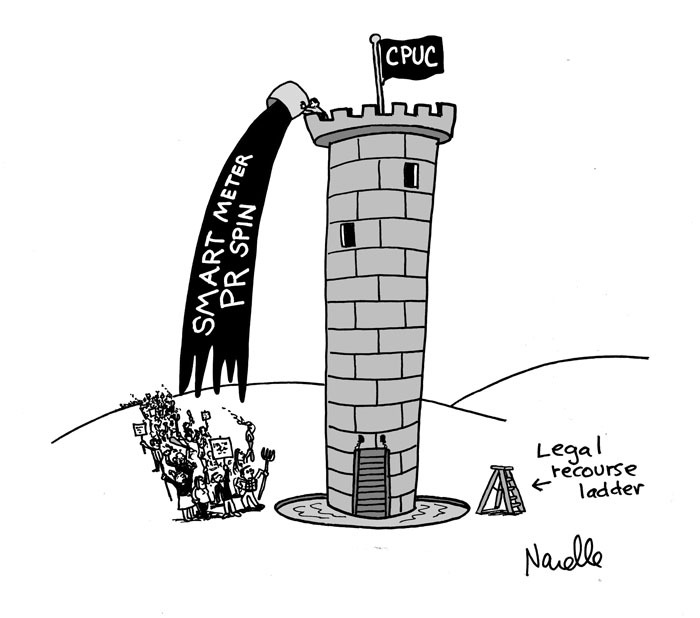 Did you know there’s a CPUC proceeding that’s investigating a community opt- out program? Did you know that the Sebastopol council supports community opt out? Tomorrow night Tuesday Feb 5 at 6 pm is a council meeting at the Sebastopol teen center. 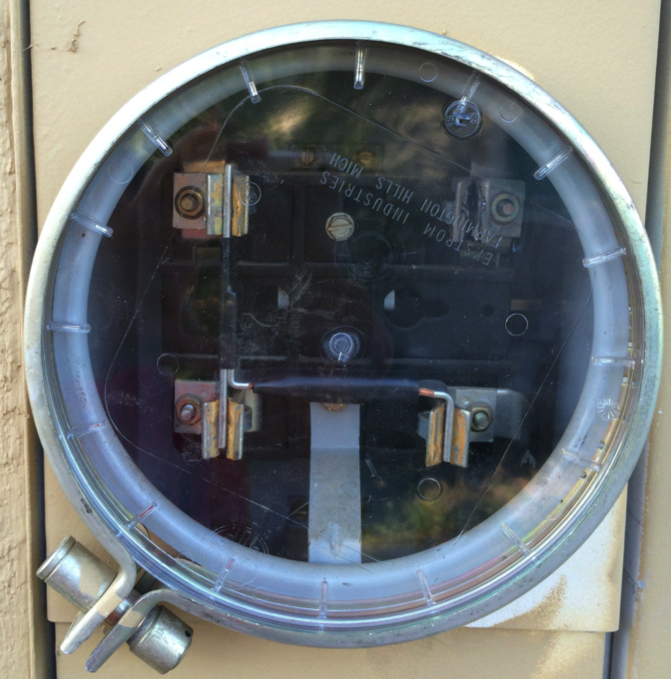 We can bring this issue up at public comments and see if they can take some action to ban the meters after all.